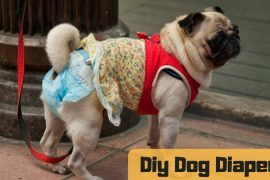 Dog owners know the plight when their dogs come home covered in poop. Yes, dogs like rolling in poop. 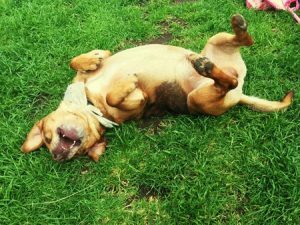 There are no specific reports as to understand why dogs like to roll in the poop but there are reasons such as that dogs like things with strong odors. Also, some reports suggest that dogs like to cover or mask themselves in something that smells heavy to disguise their own smell. Another reason is that the dog wants to go back to the place by following the scent. However, it might be fun for dogs to roll in the poop, urine or anything stinky but it becomes a task for the owners to clean their pets. The problem with the dog rolling in the poop is not only the smell they bring in but also they have to bathe frequently which is not good for our little furry friends. The dogs get attracted to the strong odor and run towards it. Sometimes you will not be able to see the poop but then your dog will come covered in it after a while. It is important to train your pooch to stop rolling in poop and disregard this behavior by training them properly. 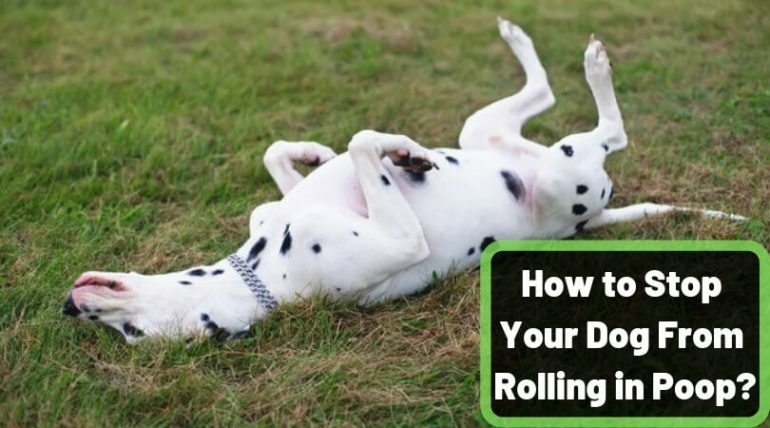 How to Stop Your Dog From Rolling in Poop? It should be kept in mind that training your dog to stop from rolling in poop is not a very easy process. It will take a lot of time, patience and training. For beginning the training you can observe your dog’s behavior when it smells something strong. There are some signs that dogs show before going near something that stinks. The dogs might stare, stretch, go around it and smell. You should notice the signs and take the dogs away from it by distracting it. Take the dogs for a walk or start playing with them to stop them from doing so. Keep a heap of mud and some stinky socks, smelly things near it in your garden area or yard. Keep your dog in the leash and take it near this heap. When the dog smells the odor it will try to go near it and roll in it. Command your dog saying “Leave it” and “No’. Keep saying this command loudly and clearly. Then take the dog away from it. 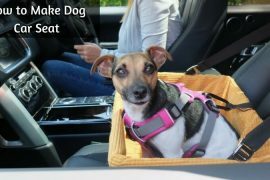 When your dog listens to you and turns away from it give them the treat to motivate them to keep up the good behavior. Keep doing this practice with help of leash and train them to turn away from it every time and treat them with their favorite toy or meal. Now start training them without the leash. Whenever you see the dog approaching the heap of mud, give them commands using the same words such as leave it and no. 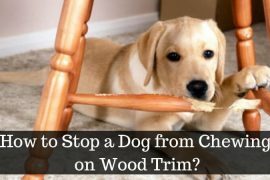 If your dogs fail to do to distract them from it and take them away. Keep on giving the commands to leave it and every time it returns without rolling in it give them a treat. Giving them treats will motivate them to stay away from anything that stinks or has a strong odor. Train them for some weeks and then stop saying commands to see if your dog turns away from the poop on its own without any commands. Every time you observe them smelling the poop and turning away give them a nice tap on their head or play with them to show that they are doing good and encourage their behavior. These steps are easy to follow but the training process takes time as dos do not understand the commands quickly and need regular training to understand that their behavior is not good. Remember that you should not be harsh with them while training. Sometimes dogs might not listen to your commands in that situation be away from them for some time to discourage their behavior. Train your dogs with utmost love, care, and patience. Give your little friends a little time to understand your commands and the fact their behavior of rolling in the poop is not appropriate. I hope this article helps you in keeping your dogs away from the poop and other things that smell bad.